God is One and His combined divine attributes identify His unitary being. His self-existence is incomprehensible. His omnipotence is transcendent. His all-sufficiency is eternal. His wisdom is immutable. His omnipresence is infinite. He is God and God alone and He perfect. He is not a jigsaw made up on many divine attributes – He is God and His divine attributes are not a combination of many characteristics. But together in perfect unity they are an interlaced marriage of His divinity. All qualities being the interrelationship of a combination of eternal superlatives. Any failure discovered in even one attribute would render this God imperfect. All attributes of God have their roots in the depth of the mystery that is called God. All His characteristics of necessity harmonise and blend into one perfect whole. No individual divine quality can by definition, contradict any other characteristic. He is altogether all and altogether all in all. God is Faithful and can never deny Himself nor the perfection of His being. If in my limited understanding I see a conflict in His attributes.. the fault is mine. If circumstances plead God’s disinterest.. the limitation in understanding is mine. If God appears uncaring or disinterested.. the fault is not with Him but with me. If His Word does not marry-up with my expectation.. it is I who am at fault, for in all things and in each attribute He is unswervingly faithful -faithful in word and faithful in deed. The Church is at the threshold of its translation into the terrestrial realm. The day is fast approaching when each of us will stand alone – before His throne. The time is coming when we will have to give an account of ourselves to Him. Every day is an astonishing gift – an opportunity to prepare to meet the Lord. He does not expect us to convert to world.. indeed, He instructs us that that whole of Christendom will be totally leavened – but He does expect us to be faithful to the point of death. He does not expect us to address the world’s poverty.. He also reminds us that the world’s poverty is a characteristic of this world, but He expects faithfulness in thought, word and deed. He does not expect us to right political wrongs.. 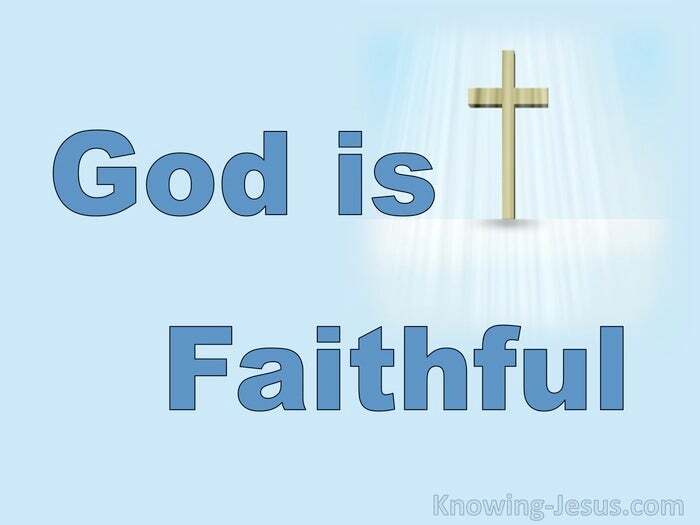 He also tells us that His kingdom is not of this world, but He expects us to be good and faithful servants. 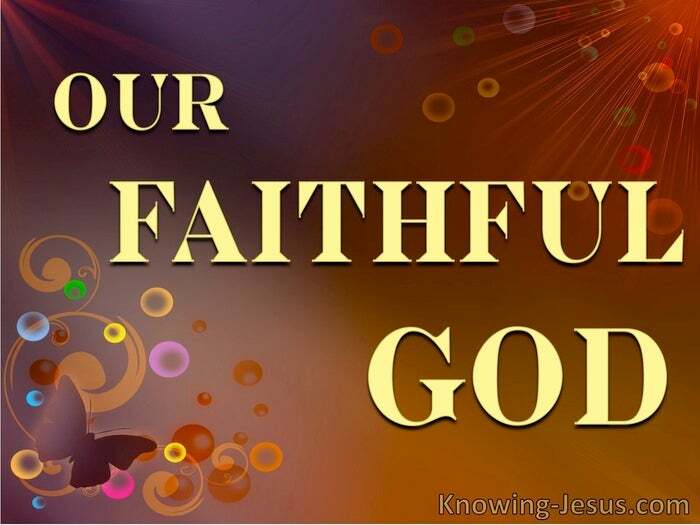 Our God is a faithful God requiring us just that.. faithful servants – faithful to the point of death.